The Foundation conferred the award on Manos Karpathiotakis for his groundbreaking research on just-in-time data management. His work has helped in the efficient analysis of voluminous heterogeneous data into useful insights, rendered algorithmic innovation, and enhanced software system contributions. In 2017, Manos worked with Lab Director Anastasia Ailamaki to develop a thesis for data virtualization by designing and implementing systems that i) mask heterogeneity through the use of heterogeneity-aware, high-level building blocks and ii) offer fast responses through on-demand adaptation techniques. For the high-level building blocks, the researchers used a query language and algebra to handle multiple collection types, express transformations between these collection types, and express complex data cleaning tasks over them. In an earlier research, Manos Karpathiotakis and his co-authors proposed data management with ViDa, a system that reads data in its raw format and processes queries using adaptive, just-in-time operators. 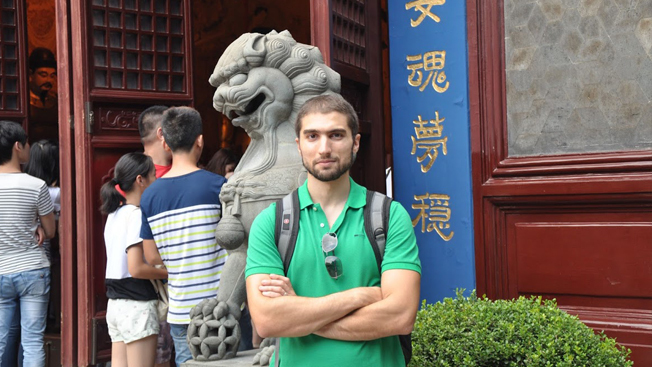 Manos Karpathiotakis who is currently a research scientist at Facebook, has expertise in wide ranging fields such as data management, query processing, spatial databases, geographic information systems, semantic web, and linked data. The Chorafas Foundation has been promoting excellence in scientific research since 1992. It screens many scientific studies and finally awards annual prizes of $5,000 each to exceptional doctoral students in each partner university.